The Bury Agricultural Machines Company was founded by Wojciech Bury in August 1991 in the village of Urbańszczyzna near Łowicz. In offer from Bury, except Pelikan sprayers there are also Perkoz – mounted sprayers, or Wulkan – orchard sprayers, and disc harrows. During almost 30 years of existence on the market from a small enterprise, the company has become a significant producer of agricultural machinery in Poland. Created with passion, run with a heart, embellished with many sacrifices and renunciaton – in a few words you can describe its history. All successes that BURY company brings to mobilizing and motivating employees and Mr. Wojciech to ever greater efforts to improve the quality and functionality of the machines produced. 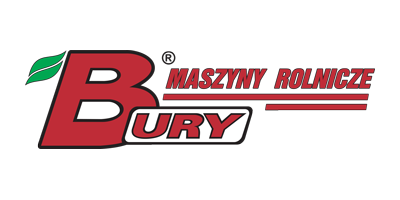 The Bury Agricultural Machines Company was founded by Wojciech Bury in August 1991 in the village of Urbańszczyzna near Łowicz. In the first years , the company produced only mounted sprayers with a capacity of 300 and 400 liters. Since 1995, from the purchase of the SMC Kutno – where nowis a sales office and main production plant, the company has developed rapidly, new machines have been constructed, such as: seedbed cultivator, disc harrow, trailed field sprayers and orchard sprayers . In 1997, an cooperation was initiated with companies from the United States, Belgium and Italy. Our company as one of the youngest in the agricultural machinery industry had to put in a lot of effort to catch up with the competition. The fact that the company already had a modern machine park (numerically controlled machine tools, welding robots). The company’s products are of high quality and are appreciated by farmers not only in Poland, but also in Germany, Finland, the Czech Republic, the Netherlands, Ireland, Denmark, Spain, Switzerland, Austria, Russia, Romania, Georgia, Estonia, Belarus, Lithuania, Latvia, Hungary and Ukraine. The Pelikan 1500 field sprayer received the award from IBMER for the Machine of the Year 2001. In 2005, in cooperation with PIMR Poznań, the KBT 3m and 4m disc harrow was constructed – winner of many awards and distinctions, including AGROTECH in Kielce in 2006, or International Poznań Fair in 2008. In 2009, the largest field sprayer Pelikan Max was constructed with a main tank capacity of 6,000 liters. 25 YEARS OF BURY AGRICULTURAL MACHINERYThe meeting began with lectures, including on environmentally friendly spraying techniques or precise dosing of liquids. During the jubilee meeting, apart from the models of sprayers, one could also see a rich collection of antique vehicles – cars and motorbikes. Wojciech Bure’s passion is motorization. On Friday, 23 February, a new hall was opened at the Bury Maszyny Rolnicze plant in Woźniakow near Kutno. It has about 2,000 square meters.The new hall will include an assembly section, a spare parts warehouse and a stand for the final control of agricultural and orchard sprayers.Larger welding section, the production will be improved by new machine tools and other modern machines. The equipment is supported with the new warehouse, fully computerized shelves have been installed.The control station of the sprayers is equipped with super precision precision measuring equipment from renowned manufacturers. As the founder proudly points out – the Bury company is now a three-generation family company, so granddaughter Anastazja cut the ribbon to the new hall.